The 60th Sydney Film Festival is here! Running over 12 days from June 5th-16th, the Festival screens features, documentaries, short films and animations from around the world in venues across the city including the State Theatre, Event Cinemas George Street, Dendy Opera Quays, the Hayden Orpheum Picture Palace in Cremorne and the Art Gallery of NSW. The Festival kicks off with Mystery Road – a western/thriller from Australian director Ivan Sen, starring Hugo Weaving and Ryan Kwantan. Other highlights include the much anticipated Stoker – a gothic drama from talented Korean director Park Chan-Wook featuring three of Australia’s finest actresses – Nicole Kidman, Mia Wasikowska and Jacki Weaver. Already receiving rave reviews, A Hijacking is set on a cargo ship that becomes hijacked by Somali pirates. This tense Danish film boasts an edgy sense of realism. Camille Claudel 1915 is based on the life of sculptress and Rodin student Camille Claudel (Juliette Binoche), who was wrongly confined to a mental asylum for 29 years of her life – a truly tragic story. 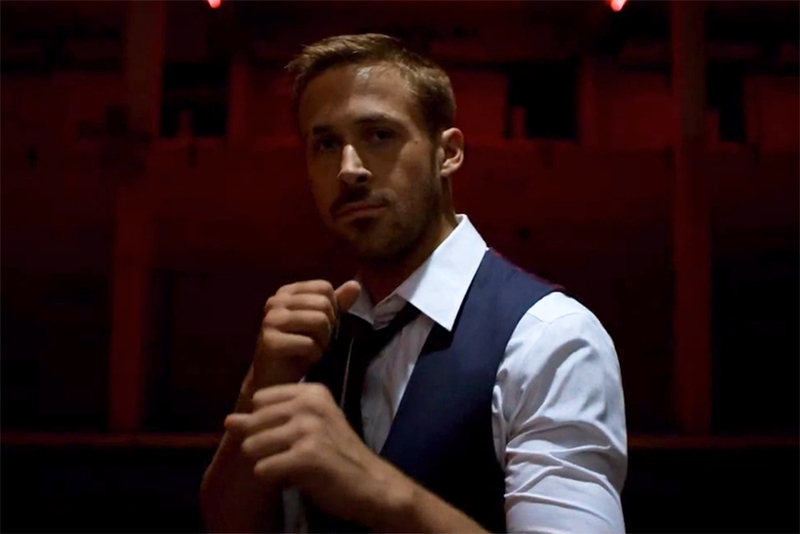 Ryan Gosling teams up with Drive director Nicolas Winding Refn for the second time, in this confronting (and violent) film Only God Forgives, set in the seedy Bangkok underworld. For something a little more light-hearted, Greta Gerwig co-wrote and stars in Frances Ha – a charming tale about a trainee dancer in New York City, filmed in black and white. Fresh from Cannes, two late additions to the program include Sophia Coppola’s The Bling Ring which follows a group of teenagers who manage to track down the whereabouts of celebrities in order to rob their homes – the film is based on true events. And Behind the Candelabra from Steven Soderbergh, which provides a unique insight into pianist Liberace’s (Michael Douglas) secret affair with a younger man, Scott Thorson (Matt Damon). The Festival is also renowned for its fantastic line-up of documentaries. Some titles to keep your eyes out for include the Australian film The Unlikely Pilgrims, set along the Camino de Santiago in Spain (an 800-kilometre “pilgrimage”). The film follows recovering addicts and a drug counsellor as they undertake this physical and spiritual journey. You’ve seen her in Pink Flamingos and in Hairspray, but get to know the person behind the costume in I Am Devine - a colourful portrayal of the outrageous late actor, commonly known as ‘Devine’. The film features interviews with close friends and muse, filmmaker John Waters. Blackfish is an emotionally haunting film about the effects of keeping killer whales in captivity. It utilises captivating archival/home-video footage and was a hit at Sundance this year. Two films thatexamine the global effects of the internet include Downloaded – the story of Shawn Fanning and Napster’s impact on the music industry and Pirate Bay – Away From The Keyboard which sees high powered US lawyers prosecute the ground-breaking Swedish file-sharing website. The Festival is also divided into thematic categories. Horror buffs should check out the ‘Freak Me Out’ section which features the thrilling and the gruesome, and music lovers will appreciate ‘Sounds on Screen’ which includes films about Tim Buckley, The National and The Stone Roses. There is something for everyone at this year’s Festival! Check out the full program and schedule here. This entry was posted in Film and tagged a hijaking, blackfish, documentaries, downloaded, films, frances ha, highlights, i am devine, mystery road, only god forgives, pirate bay, stoker, sydney film festival, the ring bling, unlikely pilgrims. Bookmark the permalink.